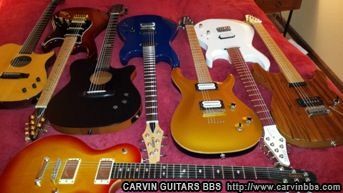 Post Pictures of Your Kiesel Guitars / Carvin Guitars Gear - No Cowbelling! leftyDaveZ wrote: Without the bevel it looks like a bolt on DC600. Not trying to be negative. It is very similar to a DC600. JCG wrote: I apologize for the 7A+ grade. Arbitrary or not, those were Jeff's words, and I trust his opinion. 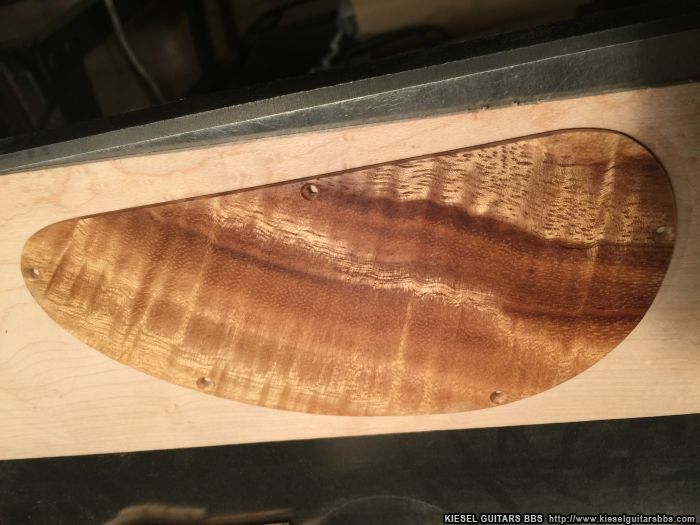 I'm thinking about getting an instrument with a Koa top next year. I think I'm going to have to ask for UltraMaster 8A grade. Last edited by JCG on Thu Sep 08, 2016 6:55 am, edited 2 times in total. Man that top is insane . I really like the look of the non-beveled Aries . Wow. That is one nice top. harsh59 wrote: Man that top is insane . I really like the look of the non-beveled Aries . It's the non-signature GH24 many have asked for. I wish they gave it a new name or something, though, than just a bevel option to the Aries. 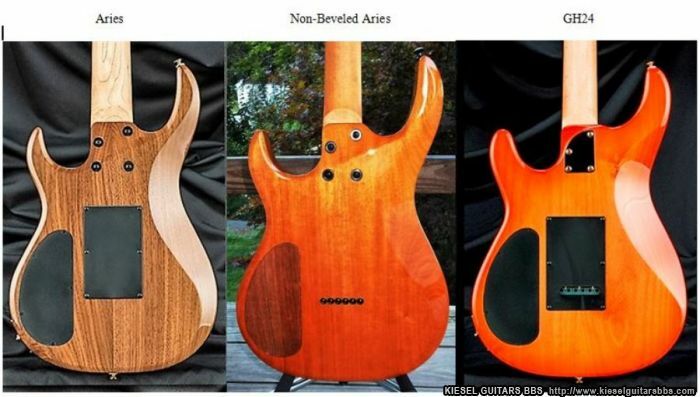 I feel like the Aries is distinctive on its own to be a seperate model, and this could be the Bolt24+ or something. Edit...and I hope that would mean that the prototype GH with a pickguard is a Bolt24...and is available with BBE. The rear view will show why this is an Aries. The weight is 7.2 pounds. That is beautiful!!!! Congrats!!!! This would look awesome as the backplate!!! bobabouy wrote: That is beautiful!!!! Congrats!!!! This would look awesome as the backplate!!! Go with a Mega Bishop 12A top. It puts you that much closer to god. Again, I apologize for the 7A+ grade. Hey, it's not you... it's that the number of A's that a top can have is verging on eBay feedback. Koshchei wrote: Hey, it's not you... it's that the number of A's that a top can have is verging on eBay feedback. ...or chinese restaurants trying to be first in alphabetical order in the yellow pages. I live near a "Five A's Cafe", but in the phone book, they are listed as "AAAAA Cafe." That's a sweet build man, congrats! Love me some Koa! 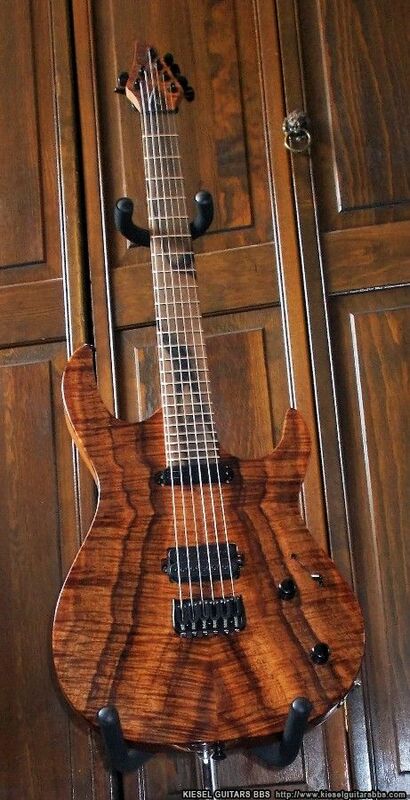 Kiesel should really try to do something about their models, there's just way too many that are almost the same but with different model name. This is essentially just a bolt-on DC. To me the big feature of the Aries is the bevel so why not just call this DC-bolt or something? Also considering they have the wonderful neck joint, why not just offer it as the standard on all bolt-on models?